Bandai Namco holdings have posted their financial highlights for fiscal year 2014, including the final totals for Super Sentai and Kamen Rider over the last year. 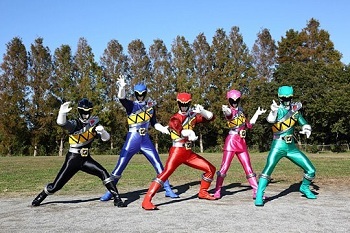 Super Sentai is internationally branded as Power Rangers in financial releases. BandaiNamco’s estimated earnings for the entire Power Rangers brand, including Sentai and Power Rangers, show sales of 25.8 billion yen. Kamen Rider showed a marked drop in comparison to recent years with toys. 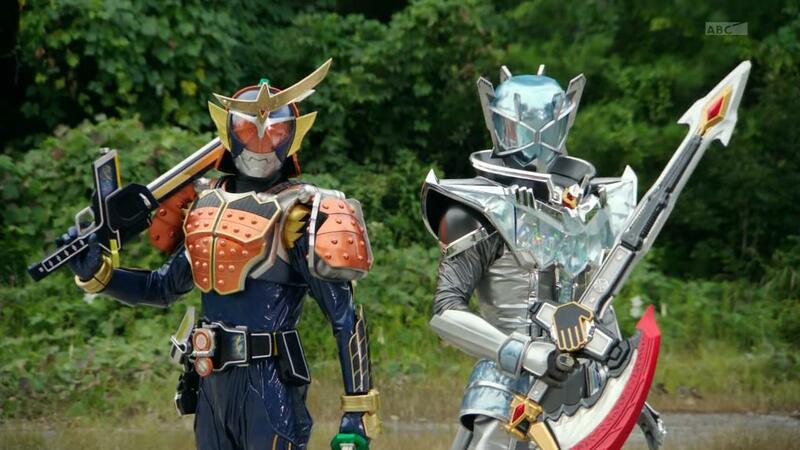 The Toys and Hobby Business saw Kamen Rider earn an estimated 21.5 billion yen in the full year, with 17.2 of that coming from the first nine months, which comprise most of Kamen Rider Wizard‘s release. This area alone marks 2013 as the lowest Kamen Rider has seen since before Kamen Rider Decade in 2009. Kamen Rider as a whole brand continues to be strong, acting as the #1 toy brand for BandaiNamco as well as the overall #2 brand for the company, behind only the Gundam franchise. Kamen Rider also saw a larger than average number when sales outside of the toy area are included. The numbers from character sales, which include DVDs, music singles, and other branded items, saw numbers jump to 29.8 billion yen. Including just what the brand made in the final quarter, it’s likely that Kamen Rider Gaim as a whole brought roughly 10 billion yen for the brand. A recent Bandai toy catalog also stated that Gaim’s figure sales have been up 390% over last year. Other points of interest include the new Aikatsu! franchise continuing to dominate over the Pretty Cure brand as the leader in toys for girls with Pretty Cure earning 9.5 billion yen and Aikatsu! earning 12.0 billion yen. Ultraman also saw an increase to 3.5 billion yen, its most successful year in recent history, thanks in larger part to the release of the Ultraman Ginga and Spark Doll line. Dear tokusatsunetwork, I have been compiling a table of all kamen rider information in a database as I am currently writing my thesis paper regarding kamen rider in relationship with merchandising. Link as provided. If there is anything incorrect, you are free to edit it. However as NAMCO and bandai have only merged in 2005 onwards, there is hardly any reliable info of earlier kamen rider toys’s sales. Do you have any direction to point me in?